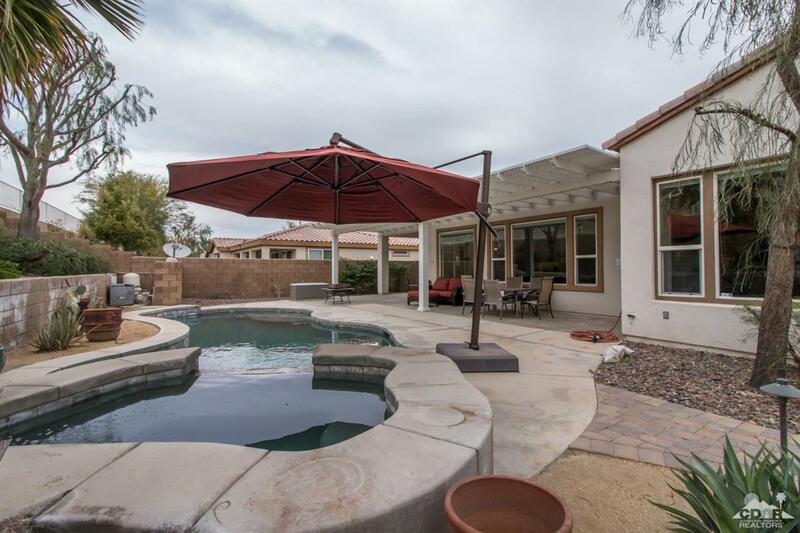 Trilogy at La Quinta offers this Monarch pool/spa home, with attached casita, on a spacious 14,375sqft. cul-de-sac lot. 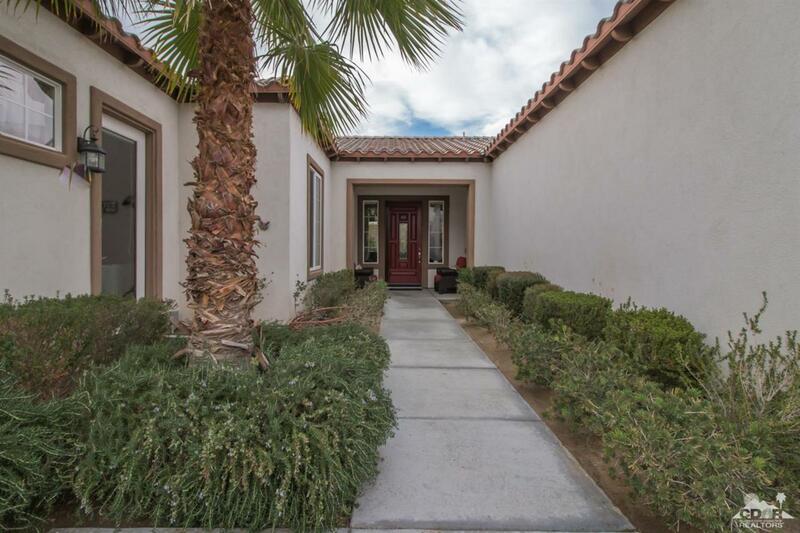 The single-story residence offers 3 BD/3 BA, 2,091sqft. 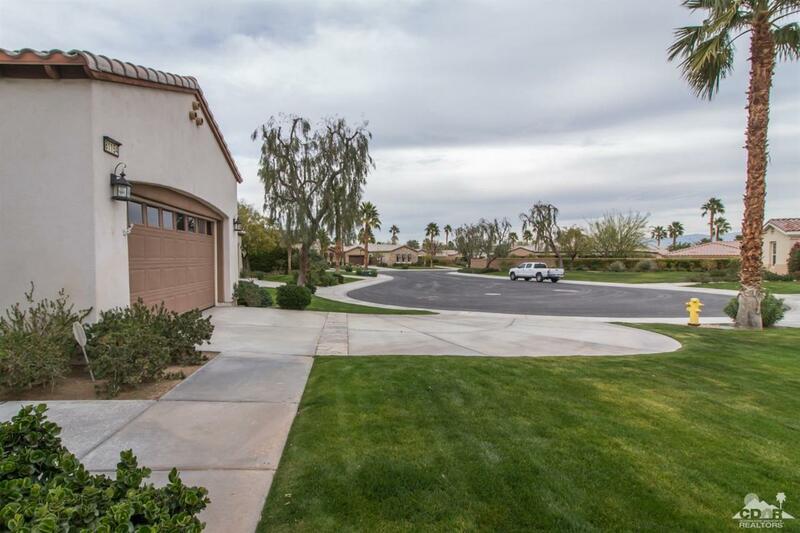 of living space, den/office, high ceilings, great room with TV/media niche and separate laundry room w/sink. Functional kitchen includes slab granite counters, tile backsplash, gas cooktop, double ovens, white appliances, prep island, built-in microwave and convenient adjacent workstation. 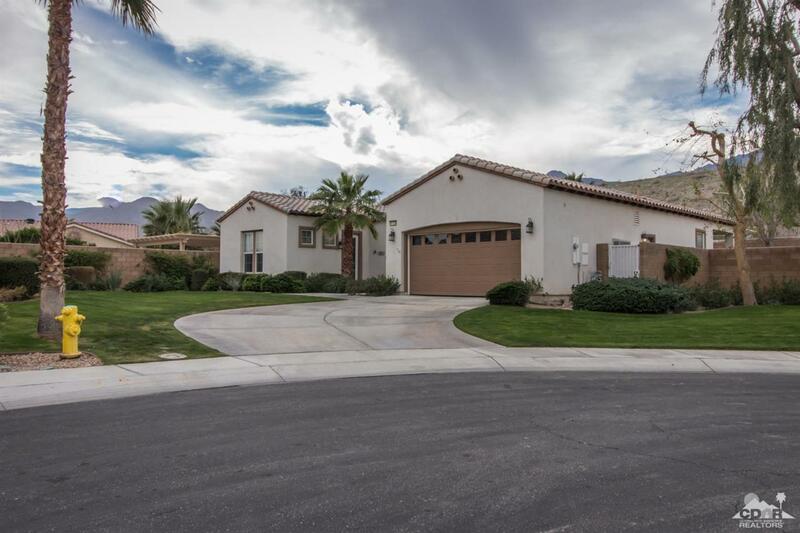 The attached casita, with en suite bath, boasts a mini-kitchen with slab granite counters/backsplash, ample cabinetry, microwave and fridge; perfect for visiting family/friends. Master retreat offers its own en suite bath with dual vanity, large shower enclosure and walk-in closet. Step out to your private oasis with pebble-tec pool w/flagstone encased spa and stacked-stone spillover, two separate alumawood pergolas, big outdoor dining area with BBQ station and paver pathway. Very close proximity to the clubhouse is a plus!